Readers of the Hidden City Daily no doubt appreciate the rich photographic collections from the Philadelphia City Archives and Temple University’s Special Collections, which provide decades worth of precursors to Google Street View and allows local history enthusiasts like me to immerse ourselves in black and white Philadelphia. But less frequently do we get to hear directly from those who walked the streets, smelled the smells, worked in the factories, and lived in the row houses of old Philadelphia. Philadelphia Immigration, a digital oral history project born from a partnership among West Chester University and the Louie B. Nunn Center for Oral History at the University of Kentucky Libraries enables just that. In the early 1980s, my West Chester University colleague Charles Hardy interviewed aging Philadelphians, many of whom had settled in the city after emigrating from Europe around the turn of the 20th century. Hardy used these oral histories to produce I Remember When: Times Gone But Not Forgotten, a series of 13, 30-40 minute radio documentaries broadcast on WHYY between 1982 and 1983. The programs—think of them as nascent podcasts—explored the history of Philadelphia during its industrial heyday through the memories of those who had lived through it. Interviewees included Johnny Mulligan—one of four prominent boxers with the surname “Mulligan” in 1920s Philadelphia—who regularly won fights at the Cambria Athletic Club in Kensington, known as the “blood pit.” Armand diStefano, son of Italian immigrants John and Rose, grew up in his father’s business, the Victor Café, where he learned to love Italian opera. Bertha Gruenberg, Austrian by birth and a true Philadelphia outsider, lived and worked in South Philadelphia settlement houses as a philanthropic endeavor where she directed theater productions and taught English to immigrants less educated than herself. She eventually became an activist in the burgeoning birth control movement. Anna Levitin immigrated with her family from Russia in 1896, arriving at the Washington Avenue Immigration Station, where officials changed her surname spelling to Lavin, discarded her family’s shoes, and fumigated all their belongings. The interview cassette tapes sat in Hardy’s basement for the next 35 years. He knew what a rich historical resource these were and what was possible with today’s digital technologies. Following the success of our first classroom/archive partnership, Goin’ North: Stories from the First Great Migration to Philadelphia, Charlie and I again collaborated by team-teaching a course for West Chester History majors, grad students, and honors college students. Hardy transferred ownership of the cassette tapes to the Nunn Center, a leading academic center for oral history with a vast collection of interviews, where staff digitized them so our students could use them to create projects. Each student worked closely with one interview, getting to intimately connect with the experiences of a young person growing up in the Jewish Quarter, in South Philadelphia’s Italian enclaves, in the Polish neighborhood of Port Richmond, or in row houses clustered among the factories of Kensington. Using OHMS (Oral History Metadata Synchronizer), an open source platform developed by the Nunn Center, students curated the interviews, making the audio searchable, situating interview segments in space through GPS coordinates, and adding period photographs that illustrate the interviewees’ recollections. Students then created exhibits about the interviewees’ lives using photographs and other primary sources generously lent from local archives with rich collections from this era, including Temple University’s Special Collections Library, Hagley Museum and Library, the Historical Society of Pennsylvania, and The Library Company of Philadelphia. Students also produced digital storytelling projects centered on themes including the Stetson Hat Company, the influenza pandemic, assimilation and ethnic identity, and the types of work immigrants found in Philadelphia. What do these rich oral history sources help us know about Philadelphia in the early 20th century? At the simplest level, first-hand oral history accounts make history come alive, particularly to students numbed by years of textbook historical narratives in which the voices of individuals typically are silent. The interviews also make it possible for us to engage in a multisensory experience, in which we can hear the calls of the hucksters selling produce, imagine prostitutes in the Tenderloin’s brothels tapping quarters on the windows at the men passing by, and smell the bodies piling up in Port Richmond during the Influenza Epidemic. Dennis Clark (b. 1927 to an Irish-American family in Kensington) mimicking the cries of produce hucksters. Explore full interview. | Clip courtesy of the Louie B. Nunn Center for Oral History at the University of Kentucky Libraries. Anna Van Dyke (b. circa 1904) and Elizabeth Strupczewski (b. circa 1892 in Poland) on the Influenza Epidemic of 1918. Explore full interview. | Clip courtesy of the Louie B. Nunn Center for Oral History at the University of Kentucky Libraries. Considered as a whole, the interviews demonstrate that to those who arrived early in the 20 century, Philadelphia was both expansive—foreign and stimulating and full of the unknown—and a very small town. Chain migration practices resulted in ethnic enclaves that mirrored those left behind in Italy, Poland, or Hungary. But Philadelphia, the “Workshop of the World,” was also home to cinemas, saloons, and an intermixing of ideas, languages, and cultures. After acclimating and learning English, Sam Spritz dabbled in vegetarianism and socialism, learning about these new ideas from soapbox speeches in Fairmount Park. Young teenage girls growing up in Old Richmond sorted through a mountain of buttons discarded by a garment factory on Aramingo Avenue, where they picked out the most beautiful ones to take home to use on their own clothing. Neighbors were neighborly, helping one another out amidst Scarlet Fever outbreaks, home births, alcoholism, and malnutrition. The interviews also reveal what it was like to be a young person, attempting to shed the Old World ways of one’s parents as they embraced American identities, sometimes eloping to escape strict fathers and crowded row houses, mimicking the characters they saw in movies, and immersing themselves in new ways of being. And yet these individuals often had to act old beyond their years, some leaving school at age 12 of 14 in order to work in sweatshops and factories, earning meager wages they turned over to their parents. Our students gained empathy toward the experiences of immigrants by contemplating how these new Philadelphians obtained work, learned English, accessed education, and supported their families. In Spring 2019, we’ll continue the project, exploring these same themes within a 21 century context. Today, one out of four Philadelphians is a first- or second-generation immigrant. We are partnering with the Free Library of Philadelphia to conduct new oral history interviews in contemporary immigrant communities, creating the next layer of the Philadelphia Immigration digital project. In 2020, students will work on a new wave of digital storytelling projects that compare and contrast immigrant life experiences separated by 100 years—in the early 1900s and early 2000s. 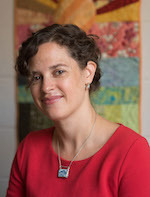 Janneken Smucker is an Associate Professor of History at West Chester University, specializing in digital and public history and material culture. She also serves as the digital editor of the Oral History Review. In the classroom, she integrates technology and the humanities, working with students to create digital projects. She lives in Fishtown. Thank you very much for these. I looked for my Mom in the Stetson Hat video, did not spot her! She put the finishing touches to the hats and including putting the hat band in. I would love to see these put up as a podcast. Amazing!